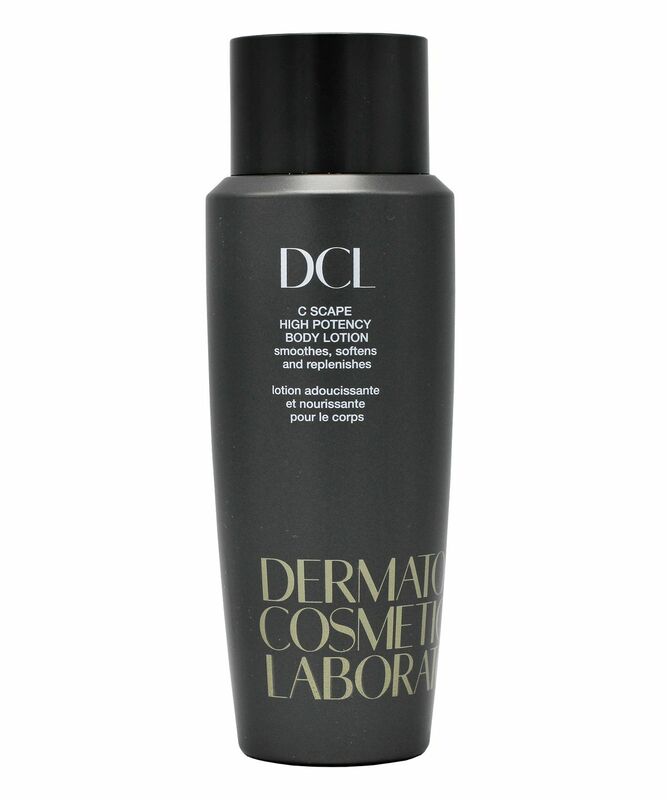 Utilising three decades of research and development into breakthrough formulations, DCL maintains the highest standards of skin care integrity when it comes to its own product line. A brightening, deeply nourishing dynamo, use this highly potent, luxurious body lotion to strengthen, moisturise and protect skin, while expertly exfoliating to soften and smooth. Ideal if you’re struggling with severely dry, psoriasis or keratosis pilaris prone skin or eczema, this formula features an advanced vitamin C complex (featuring L-Ascorbic acid) and lactic acid, which promote even tone and radiance while drenching dehydration, soothing irritation and minimising rough texture. 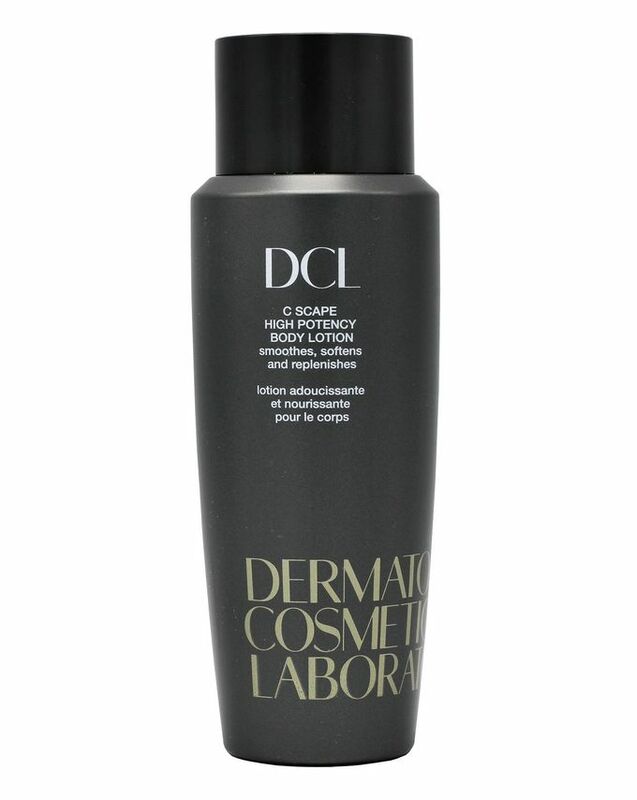 A luxurious body lotion formulated with an innovative vitamin C complex, DCL’s C-Scape High Potency Body Lotion not only deeply nourishes skin, it brightens and exfoliates it to leave it soft, smooth and beautifully even. A vitamin C complex, featuring L-Ascorbic acid, works over time to ease discolouration and create a more uniform, even skin tone, while also providing powerful antioxidant protection to guard against environmental damage. Enhancing this, lactic acid enhances cell turnover, lifting dead, dulling cells to profoundly polish and resurface skin, creating a fresh, healthy appearance and further evening out tone and texture. DCL’s proprietary silanol technology helps to stimulate collagen production and strengthen skin’s structural components to improve elasticity, while advanced emollients rehydrate to sooth and moisturise all skin types, even those that are severely dry or struggling with eczema, psoriasis and keratosis pilaris (chicken skin). Your skin will be left soft, silky and supple – prepare to be a seriously smooth operator. It works, what they say it does, it does. My skin was soothed and smoothed and looked more healthy within a few uses. My forearms feel like velvet and even the husband's dry legs are looking better (years of Australian sun have taken their toll on his legs and arms in particular).